Why Do Healthcare Costs Keep Going Up? It feels like these days everything just keeps getting more expensive and healthcare is no exception. We’ve all heard that we spend more money than any other nation on medical care. And we know that for people who buy their own healthcare coverage, the costs have increased even more rapidly in recent years. So what exactly is driving these costs? The biggest driver behind the rates our members pay is the cost of medical care. On average, we spend 80% of our members’ premium dollar on medical services – that means paying for doctors, hospitals, pharmaceuticals, and other forms of medical care. Most doctors are paid on what is known as a ‘fee for service’ model. This means doctors are paid according to the number of patients they see and procedures they perform. A number of healthcare experts believe that this incentivizes some doctors to focus on quantity and high-cost services over quality of care. Our population is aging. In 2011, 14.3% of Oregon’s population was over 65. The Department of Health and Human Services predicts that by 2030, people over 65 will make up over 18% of our population. Although an aging population leads to higher medical costs, the more pressing concern is the number of us who are suffering from chronic diseases like diabetes and heart disease. The Centers for Disease Control estimate that treating cardiovascular diseases accounts for $1 in every $6 spent on healthcare in this country. Many of these conditions are preventable if people make better diet and lifestyle choices. Advances in medical technology have increased the quality and length of our lives. However, state-of-the-art technology comes at a price – not only do hospitals and clinics need to pay to purchase this technology (at a price that covers its research and development costs) they also need to pay to train the clinicians and maintain their equipment. Newer technology isn’t always the safest or most effective treatment, but people often think that newer or more expensive treatments are better, which pushes up costs, at times for little or no benefit to the patient. Often we find that the more choices we want the more we have to pay. Healthcare is no different. The fewer restrictions that are placed on care, the more expensive it becomes. Pharmaceutical costs are a great example of this. Generic drugs are just as safe and effective as their brand name counterparts, yet cost on average 75% less. It’s estimated that if generic drug use by Medicaid patients increased by just 5%, it could save $3.4 billion per year. How Do We Set Your Rates? How much does it cost to pay for the medical services our customers use? How do we predict the cost of medical services will change in the next 12 months? What will we have to pay in taxes, commission payments and administration costs? Do we have enough in reserves (our savings account) to meet the needs of our customers if the unexpected happens? We divide this overall cost among all the customers on our plans to come up with a “base” rate that everyone pays for the same set of benefits. For our individual policyholders and small employers, this method is referred to as “community rating.” In Oregon, one component of your rates is determined by the claims history of the overall geographic area in which you live. Rates are also divided into five-year age bands, so for example everyone who is aged 25-29 pays the same rate, and everyone aged 40-44 pays a different rate. This means that every 5 years, when you change age bands, you are likely to experience a rate change. Who controls the rates we charge? Once we have calculated what we thing are appropriate rates for the coming year, we submit a rate change request to the Oregon Insurance Division (OID). The Insurance Division oversees all insurance companies and health plans that operate in Oregon. In addition to posting our rate request here for public review and conducting a public rate hearing, the OID examines all the required at a we provide before deciding whether the rate we have requested is appropriate. The question they specifically seek to answer is “are the rates we’re requesting reasonable” for the benefits provided? They have the authority to disapprove our rate request if they think rates are excessive or inadequate. What if we get the rate wrong? Federal law requires us to spend at least 80% of our customers’ monthly rates on medical care for our individual and small employer customers. If we set the rates too hight, then we won’t meet this threshold. If that happens, we give our customers a rebate to make up the difference. If we set the rates too low, then the rates we collect won’t be enough to cover the costs of providing benefits and we will lose money. On average for the last five years, we have spent 84.5% of the premiums we collect on our customers’ medical care. We have also managed to keep our reserves (savings account) at a level that ensures we can still pay our members’ claims in years where the monthly rates we set fall short. Do rates ever go down? 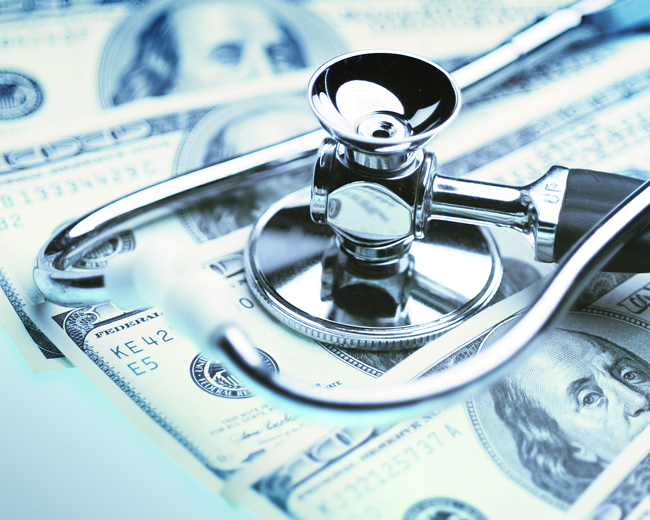 Like most things, the costs of running a health plan are subject to inflation. In fact, the cost of medical services is rising at rates far higher than inflation, so it’s not very common for monthly rates to go down.